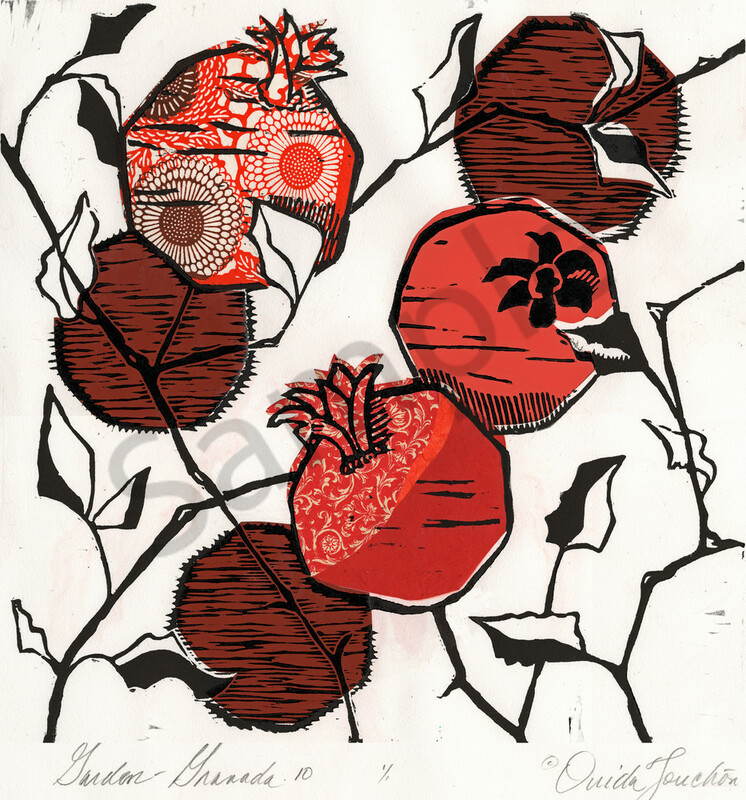 Pomegranates 10, beautiful fruit from the garden, woodcut print with chine colle of fine papers in assorted patterns, in a variety of sizes and fine art paper as well as canvas, stretched, or unstretched, framed or unframed. .
An appealing design, slightly Japanese in style, and yet, truly my own creation. Enjoy collecting my assorted pomegranates!